If you are in the market for your first vehicle, you probably are wondering how you are going to secure the credit that you need to bring one home. While many banks, credit unions, and dealerships won’t work with first time car buyers, Karz Plus will. 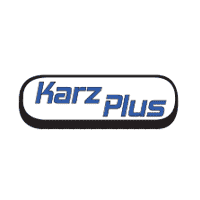 At Karz Plus, we have years of experience working with people just like you with little or no credit to get the car that you need, when you need it. Come take a look at our current selection on one of our easy to find lots around San Diego, or check out our current selection online to see if we have a vehicle that meets your must-have list. At Karz Plus, we go the extra mile when it comes to matching you with the right vehicle. Stop by and find yours today. When it comes time to shop for your first vehicle, you want to find a dealership that you can trust to help you find an affordable vehicle that is dependable and will provide you with many years of use. At Karz Plus, we have an outstanding selection of used vehicles priced under $10,000 that look great, get excellent fuel economy, and are perfect to meet all of your needs. Come find your daily driver or very first vehicle on one of our two lots around San Diego. No one works as hard for first time car buyers than Karz Plus. Stop by and see how with our friendly staff. Securing credit for your very first vehicle can be an anxious time. While finding the right vehicle can be exciting and fun, waiting to hear whether or not your credit will be approved is another thing entirely. At Karz Plus, it only takes a short time to know exactly what you have to work with. Whether you visit with our staff onsite, call in on our phone service, or fill out our online credit form, you will know in no time at all whether you are approved. After that, the fun part begins, and you can find the perfect vehicle to bring home that day.